Summertime Boredom: 5 Activities to Keep Your Kids Busy and Happy - Energetic Juniors - Contact Us! Summertime is easy. Summertime is slow and relaxed. But summertime can also become boring pretty quickly. Unless Mom has a Plan B. 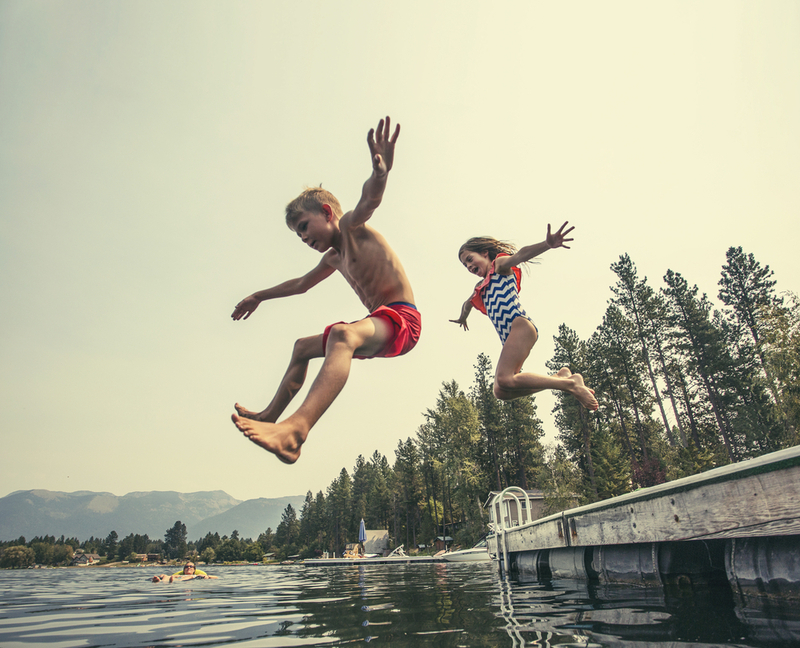 Here are 5 activities to keep your kids busy and happy in summertime – without breaking the bank. Swimming, running, riding a bicycle, and any team sports that are available in your area are all traditional summer sports. They keep your kids healthy and active, and they also introduce a fun dynamic. As they practice the sport, they get better at it. And as they get better, new goals open up. Which means that the sport also occupies their minds and gives their days and weeks some structure. These activities work well for days when outdoor activities are rained out or you are preparing for a barbecue, a birthday or some other special celebration. Cooking and baking are ‘cool’ now, and they give your kids a sense of achievement. ‘Look I made this!’ That’s a proud moment for children of all ages. Watching others enjoy their food is very rewarding and can feel quite grown-up. It is also a great way to connect with children when you are occupied in the kitchen. Pass on your heritage with special dishes and family recipes too. Allow your kids to invent a new version and call it their own. Cooking and baking is always there whenever there’s nothing else to do, and always produces fun results. Do you need to renovate your shed? Are you thinking of upgrading the basement? Perhaps the bedrooms need to be cleaned, de-cluttered and rearranged? Now is the perfect time to do so. Depending on the age of your children, they can take part in all aspects of the project, from planning and designing, to moving, cleaning and painting furniture. There’s never a dull moment. Activities change as the project comes together. Your kids can look forward to the finished result, and feel proud that they were part of it. Also, building projects tend to be quite time consuming! If you can get your kids into a gardening project, they will have a little bit to do every day; looking after the plants, making sure they are doing well, watching for fruit and flowers. If you have the space, why not give each child a little plot or their own box on the balcony? A sense of ownership will keep them motivated. Summer is the time to get creative.Allow your kids to experiment with colors, shapes and materials. Let them express their creativity without being graded on it. Show them a few techniques in painting, sculpting with cheap materials, creating cartoon strip stories. Set a date for a ‘home exhibition’ where everyone shows their work to family and friends. Why not serve a few home baked goodies at the same time? If your family is more gifted in acting and music, why not set your goal as an ‘end of summer’ performance with songs, skits, and dancing? Your kids can work and look forward towards it all summer. It also creates a good transition to going back to school. Take a family trip once a week. Ask your kids to prepare for it by researching the location, making food, packing bags and helping to plan the schedule. Assign tasks and encourage exploration. When you come back, you can incorporate your experiences into artwork, performance, home décor or new cooking experiments. Don’t forget that summertime is family time. Your kids are growing up fast – spend time with them now!